Many forklift owners know how valuable their machines are. So, they spare no efforts or expense to keep them in perfect condition. Manufacturers typically build forklifts to withstand rough use in rough environments. However, even the best machines can experience wear and tear. This is why forklift owners often keep certain forklift spares handy. By having these spare parts on hand, business owners can eliminate the possibility of sudden breakdowns. This, in turn, could be useful for avoiding the loss of valuable production time. When forklift owners shop for spare parts for their machines, they often overlook the need to purchase comfortable forklift seats. A nice seat could enhance the comfort of the operator. In addition, quality forklift seats can help keep the operator safe as well. Regular forklift seats feature foam that is extremely hard. These seats are extremely durable. However, when it comes to comfort, they are certainly not the best. It is not uncommon for operators using these seats to experience sore spots and injuries. This is especially so because these seats transmit the slightest of bumps into the hips and the spine of the operator. Suppliers often provide forklift seats as direct factory replacements or as upgraded seats. These could typically include ultra-soft seats that offer high levels of comfort. Or, they could comprise tilt-up models that make it easier to remove rainwater from the seat. Some forklift seats offer leg and shoulder protection too. This is useful if the machine were to suffer a rollover. Similarly, other suppliers offer high-back seats that keep the neck and the head of the operator protected. Are You Looking for Genuine Hyster Forklift Parts? If you need authentic forklift spares, don’t look beyond Southcoast Forklifts. 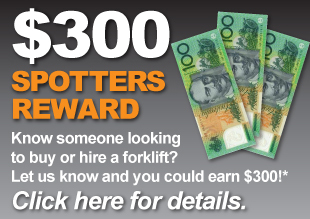 A Victoria-based forklift company, we specialise in offering new and used forklifts. In addition, we offer forklift parts for all makes and models. This is regardless of whether you require common spare parts or those that are not easily available. Whether you’re in Australia or Oceania, we can deliver the spare parts you’re looking for. Furthermore, if you require assistance in searching for a quality used forklift, come to us. We offer a free broker service to help you find the machine that best suits your needs and your budget. To know more, give us a call at 1300 988 795.